FIGHTING A TOUGH SKIN CONDITION? Equiderma has the right product for you. Cannon bone fungus, stud crud, cannon scurf, cannon funk – While it's often seen on the cannon bones of the hind legs, it can also appear above the hocks, elbows, face, and ears. The skin becomes scaly, and the coat dry and flaky. In some instances the hair will fall out. Mallenders shows up on the back of the knee on the forelegs and sallenders in front of the hock on the hind legs. You'll recognize both as hard crusts and scale in both locations. 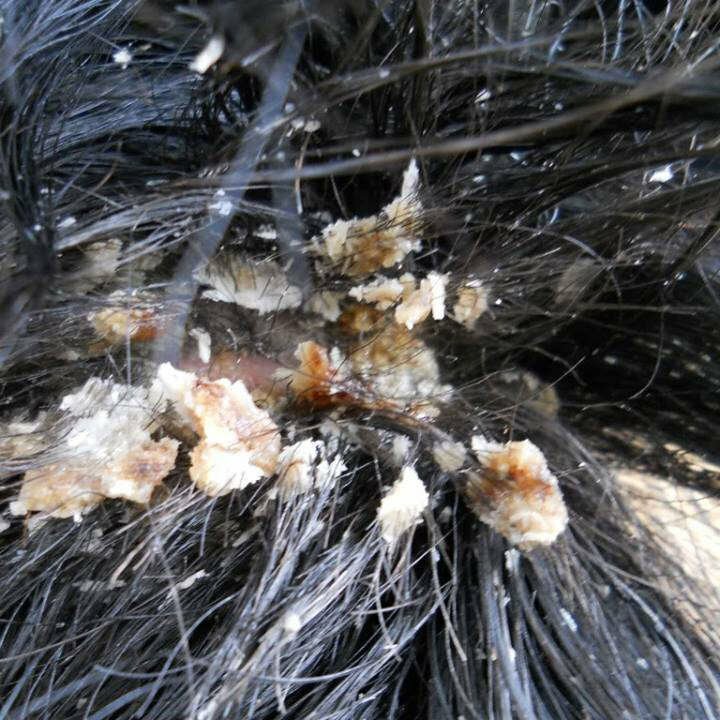 These tiny insects burrow down into the mane and tail and wreak havoc while there. 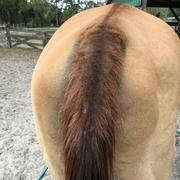 They are responsible for neck thread worm and also the intense itching that causes your horse to rub their manes or tails into a disastrous mess. 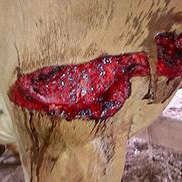 On any ivermectin or moxidectin wormer you’ll see a list of parasites. At the end you will see the words Onchocerca Microfilariae, commonly known as neck threadworm. 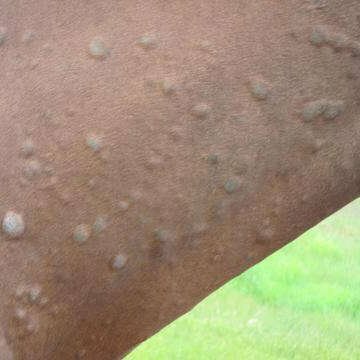 An infected horse will have bumps along the back and croup. When pulled, the hair will easily come free leaving an infected, hairless spot of skin. 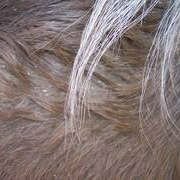 Ringworm in horses presents as hairless patches with crusty, scabby skin. 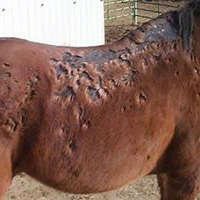 These lesions are most common on the face, neck, shoulders, chest, or under the saddle or girth, but can appear anywhere on the body. 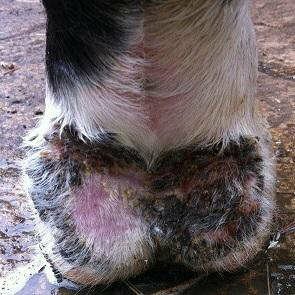 A condition commonly known as horse scratches, mud fever, greasy heel, or cracked heel presents itself when the skin in the hollow of the pastern becomes reddened, tender, scabby and scaly. 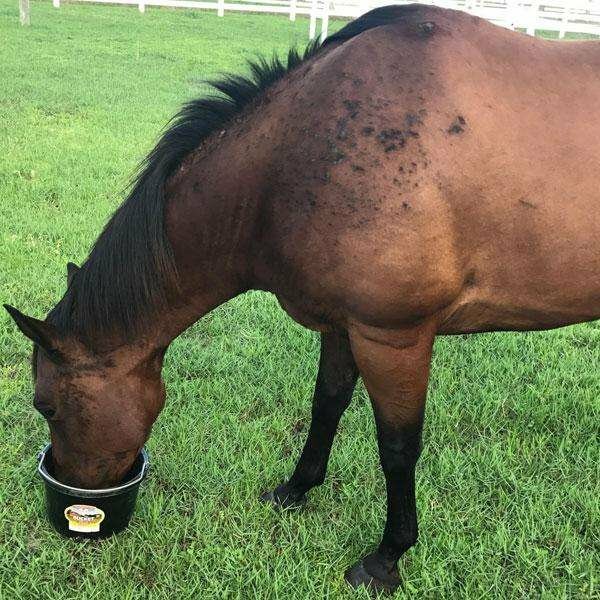 If the area is not immediately and aggressively treated, the cracks and scabs will grow, the edges will become thickened and calloused and the horse may become lame. Sweet Itch (or Summer Seasonal Recurrent Dermatitis (SSRD) is the layman's term for a hypersensitivity or allergic reaction to insect bites. 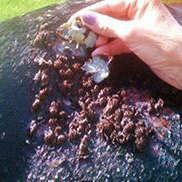 The allergy is most specific to the Culicoides fly, often called midge, sand gnat, or no see-um although black flies, deer flies and mosquitoes can contribute to the cause as well. Regardless of the cause, all wounds must be cleaned and kept free of dirt and debris. 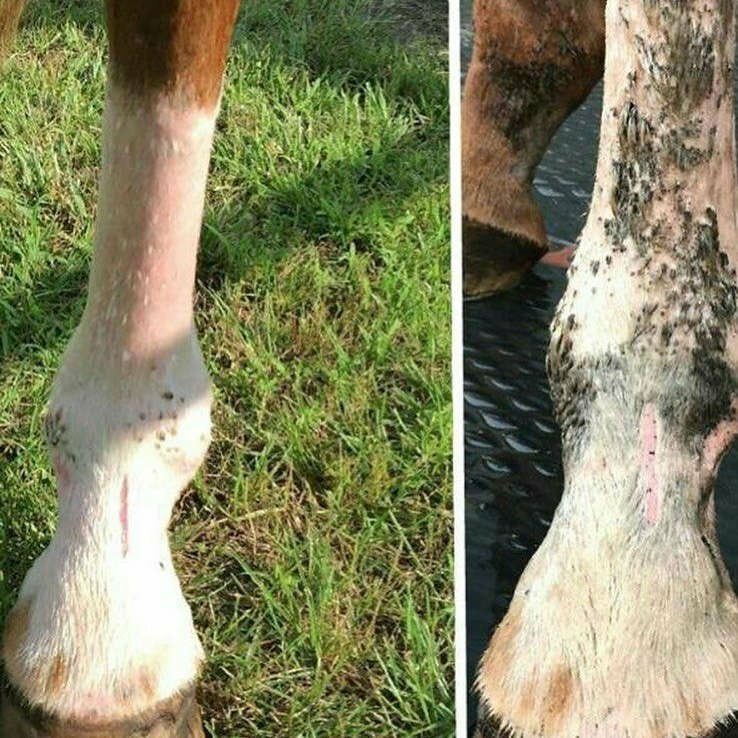 Daily washing with anti-bacterial soap and the application of Equiderma Calendula Wound Ointment, will guarantee a successful outcome for your horse.